My Mother always said, “It won’t get done by itself” and now I know what she meant! To reach our goals we need to actually do something! Just thinking about it is not enough! However, we all know that life gets in the way and we sometimes find ourselves reacting to outside influences instead. Before we know it, another week, month or year has passed, and we are still no closer to our goals. If that sounds like you, then its time to take a hard-long look at what’s really going on. How much do you actually want to reach your goal? Is your goal DRIVEN ©? If not, why are you bothering? Perhaps you need a better goal? BUT, if you do have a DRIVEN © goal, and really do want to reach it, you will need to be more proactive. Not all of the time, just some of the time. 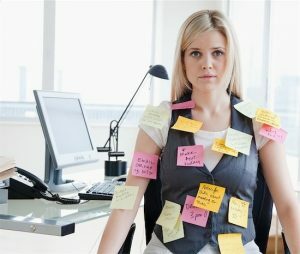 In fact, being proactive just 10% of the time can reap huge benefits! 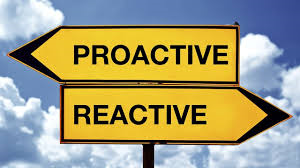 When you think of being proactive what springs to mind for you? Most people say it’s “taking the initiative”. But it’s more than that. When you are pro-active, you are taking responsibility for your actions. This is the opposite to being re-active. In fact, when you are being proactive, you are showing the ability to respond to circumstances rather than react to them. (response-ability). When we react to a situation our actions are usually triggered by the subconscious part of the brain. This part of the brain acts quickly, often calling in emotions such as fear, or strategies such as habit. But when we take a moment to think before responding, we are using our conscious mind. In this state we can take a more rational approach, which often allows us to prioritise effectively, face uncomfortable tasks and take steps towards achieving our goals.